Partly cloudy skies. High 58F. Winds NNE at 15 to 25 mph..
A former Rock County sheriff’s deputy accused of domestic violence has left employment with the county, Chief Deputy Barb Tillman said. Keegan J. Kelly’s last day on the county payroll was Friday, Tillman said. Also, the woman who accused Kelly of the assaults was granted a temporary restraining order against him April 8. Janesville police arrested Kelly on April 3, and he was placed on paid administrative leave. 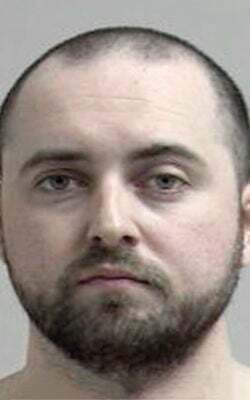 Kelly, 26, of 3506 La Mancha Drive, Janesville, was charged April 5 in Sauk County Court, where a condition of his bond was that he could not possess a firearm, Tillman said, which means he could no longer meet an essential function of a deputy, so he was placed on unpaid administrative leave starting April 9. Kelly’s union representative then contacted the sheriff’s office to say Kelly wished to end his employment, and Friday was his last day on the payroll, Tillman said. The woman in an April 8 petition for a restraining order against Kelly wrote that he has assaulted her regularly during an 18-month relationship that started in August 2018. She wrote that the assaults worsened over time. Kelly threatened her life if she told police about it, she alleged. Kelly, 26, had been a deputy since January 2018. He worked as a Rock County jailer before that, starting in February 2014, Tillman said. Two captains have been assigned to conduct an internal investigation of Kelly, and they are waiting for reports from Janesville and Lake Delton police, Tillman said. There is less urgency to investigate now that Kelly is no longer an employee, Tillman said. “We are going to get the reports (and) then determine what still needs to be done,” Tillman said. Kelly is charged in Sauk County with strangulation and suffocation, false imprisonment, and intimidation of a victim, all as acts of domestic abuse. The Sauk County charges stem from a Feb. 14 incident in a hotel room in Lake Delton, according to the criminal complaint. Kelly is accused of threatening and assaulting a woman he knows in the hotel room. Janesville police arrested Kelly on a charge of disorderly conduct/domestic violence. He has not been charged in that incident. Kelly is scheduled to appear in Sauk County Court on May 20. Online court records indicated Janesville attorney Jack Hoag is representing him. Sauk County authorities say a woman used a cellphone to record a violent attack an off-duty Rock County sheriff’s deputy rained down on her at a Wisconsin Dells resort in February.